Petroleum engineering is guided by overarching scientific and mathematical principles, but there is sometimes a gap between theoretical knowledge and practical application. 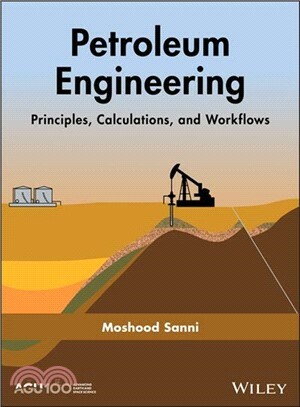 Petroleum Engineering: Principles, Calculations, and Workflows presents methods for solving a wide range of real-world petroleum engineering problems. Each chapter deals with a specific issue, and includes formulae that help explain primary principles of the problem before providing an easy to follow, practical application. Petroleum Engineering: Principles, Calculations, and Workflows is a valuable and practical resource to a wide community of geoscientists, earth scientists, exploration geologists, and engineers. This accessible guide is also well-suited for graduate and postgraduate students, consultants, software developers, and professionals as an authoritative reference for day-to-day petroleum engineering problem solving.